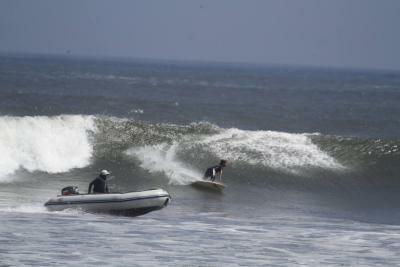 Lock in a great price for Huanchaco Surf Camp – rated 8.4 by recent guests! Francisco and Carla are super friendly and the vibe of the place is great. All the basic facilities you expect from a budget hostel are in place. Amazing friendly hosts, very helpful and fun to hang out with. Lots of pets and animals at the house to play with. Less like a hostal and more like staying at a friends house. 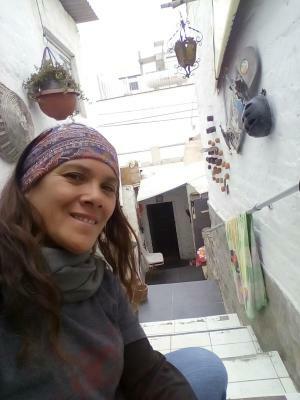 Carla and Francisco are lovely people who invite you to a relaxed atmosphere. Lovely with both cats and dogs to cuddle. Carla is super helpful with the heart at the right place! Simple accommodation with all you need to enjoy your surfing time. Francisco is very friendly and helpful and has some lovely dogs! If you seek for a non luxurious but warm feeling that's the right place for you. I really enjoyed my stay! We really enjoyed the hospitality of the owner. He was very friendly. Also the location is nice and from the terrace you can see the sea and beautiful stars. Quiet hostel perfect for surfers. The owner is very helpful for any stuff you need. The rooms and the bathroom is clean and from the terrace there is a great view to check the waves. From outside the hostel seems basic but from the inside it has anything you need and is a perfect place for a relaxing surf trip. Overall very great value! Owners were very lovely, as were the dogs and cats. breakfast was great. internet was great. 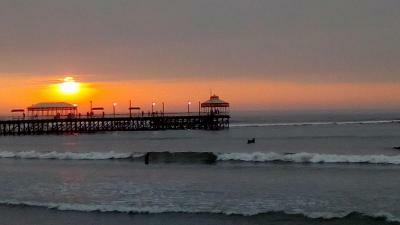 Huanchaco Surf Camp has accommodations with water sports facilities and free WiFi, and is located in Huanchaco. Opening to a patio with sea or city views, all units are fitted with a kitchen with a dishwasher. An oven and coffee machine are also featured. An outdoor swimming pool and a grill are available for guests at the family stay to use. 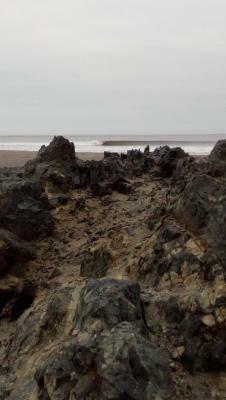 Trujillo is 9 miles from Huanchaco Surf Camp. The nearest airport is Capitán FAP Carlos Martínez de Pinillos International Airport, 5 miles from the accommodation. 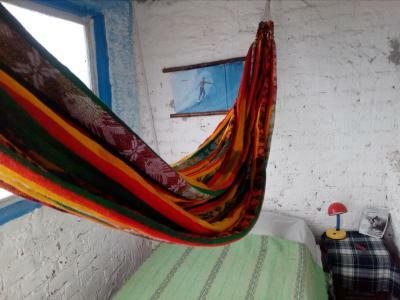 When would you like to stay at Huanchaco Surf Camp? This triple room has a balcony, toaster and kitchenware. House Rules Huanchaco Surf Camp takes special requests – add in the next step! Please inform Huanchaco Surf Camp of your expected arrival time in advance. You can use the Special Requests box when booking, or contact the property directly using the contact details in your confirmation. A damage deposit of USD 20 is required on arrival. This will be collected by PayPal. You should be reimbursed on check-out. Your deposit will be refunded in full, in cash, subject to an inspection of the property. Double room was very dirty with dust falling from the ceiling so in the morning everything was covered with it. At the same time triple room was clean. Also there are no locks on room doors. Wifi was temporarily not working. We didn't like the mattress which was in a really bad shape. There was even a metal part coming out of it so it wasn't safe. Also there were dogs everywhere, not listening to the owner and one of them even jumped on our bed and didn't want to go away. Really nice, super helpful people! Carla y Francisco son tan amables. bad fly problem in house. constantly flicking big flies off myself and my plate, about 10 around you at any moment. bed extremely uncomfortable after even a few seconds as coils stick in back, bruised back. very lumpy pillow gave headache and not enough bedding. no towel. barely slept at all. also door has a foot gap at top and smoke and noise pours in from kitchen outside room. no drinking water first day. arrived no pillow or toilet paper or keys. keys got next day but both didnt work so locked out both doors ages and so had to rely on other guests to let me in rest stay and not lock bedroom. Bedding had sand and hairs in so didnt look clean. floors were very dirty so black feet. bathroom sink leaked all over floor constantly so wet black feet constantly. bathroom and kitchen filthy, way too much to use shower or fridge. no running water half day and night so couldnt washup etc or flush toilet. owners not there in day/evening usually so any issues cant be resolved when they happen.